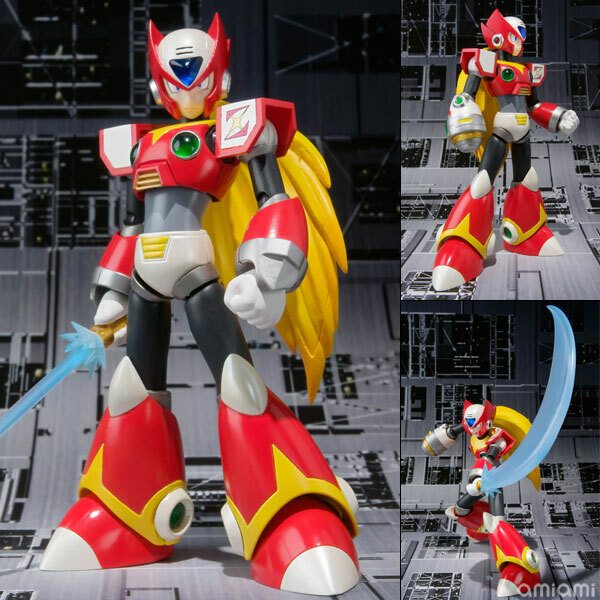 I think people realized how limited the original X D-Arts release was so they're jumping onto the Zero D-Arts asap. Pre-ordered mine before it sold out! Gotta get that Zero 1st version. It gonna sell out quick too! We must show to capcom and the others how we love Rockman serie! Limited D-Arts X is??? LOL!!! What? Dude your looking in all the wrong places. I just purchased 4 D-Arts X for my little cousins at $40 each. They're not limited at all, they're mass produced. You can find almost everywhere online. I know some people over price him like on eBay but that's because they think it's rare like some of those old model kits just because it's X. Those are people that don't know anything of Megaman and just trying to rip you off. BBTS still has them for pre order. I just did. Listen @anonymous (the second one) if the d-arts X is so easy to find then why didn't you post where you bought those 4 X's for your "little cousins" at $40??? Honestly what you're saying smells like bull$#¡% because yeah you can still get it for forty bucks off of sites from japan that still have him but you would still have to pay a $30+ shipping!! !